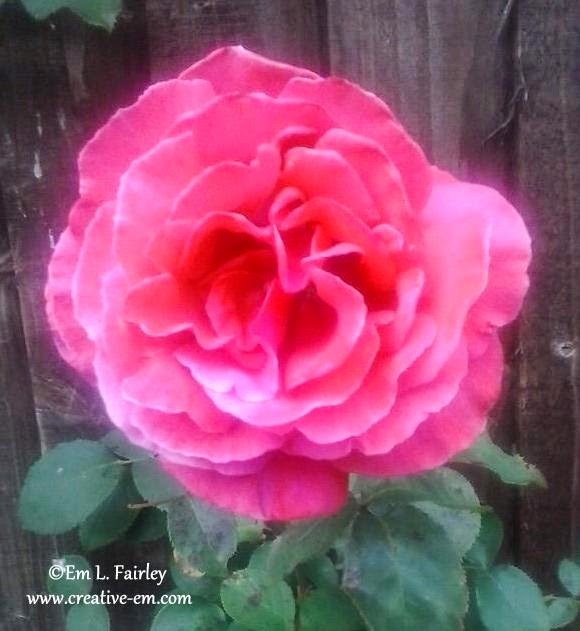 Thanks for stopping by and for all your wonderful comments. I truly do appreciate them and you! 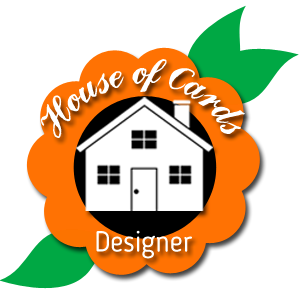 Today I've taken a deserved break from preparing for my upcoming event, and created a CAS card with just five ingredients (plus adhesive). 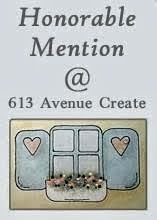 If you missed my previous "Take five" card, you can see it HERE. I had a great time on Saturday at the coast. 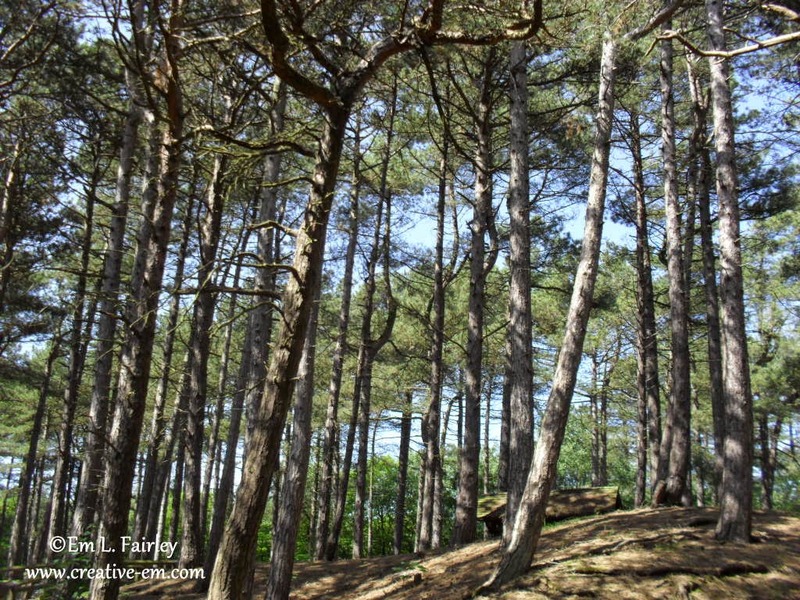 The sun came out just as I arrived at the nature reserve and although there were signs of fall around in the woodland, the day itself was more like mid summer and the sand was beautifully warm under my bare feet when I got to the beach. I'll share some pix from the day tomorrow, so please do stop back then. Thanks for stopping by, I'm honored to have you here! I'm sorry this post is later than usual, but I'm only just out of the studio, having completed an incredible eighty cards today! Yes, you read that right, 80! Sixty of them are those I started yesterday and another, newly designed set of 20. Whew! 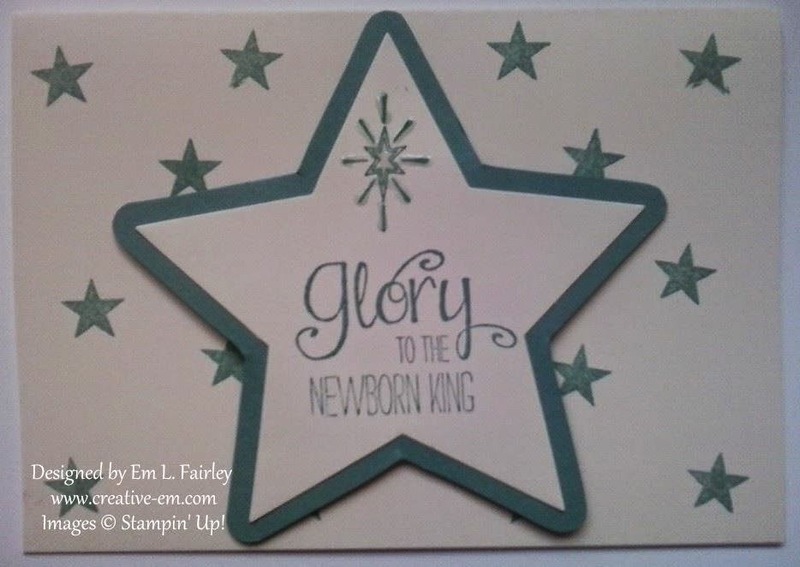 The cards I'm sharing with you today are the second set which I created with the Newborn King stamp set from Stampin' Up! 's seasonal catalog. As I mentioned at the end of yesterday's post, where I shared the first set, this design is very different. 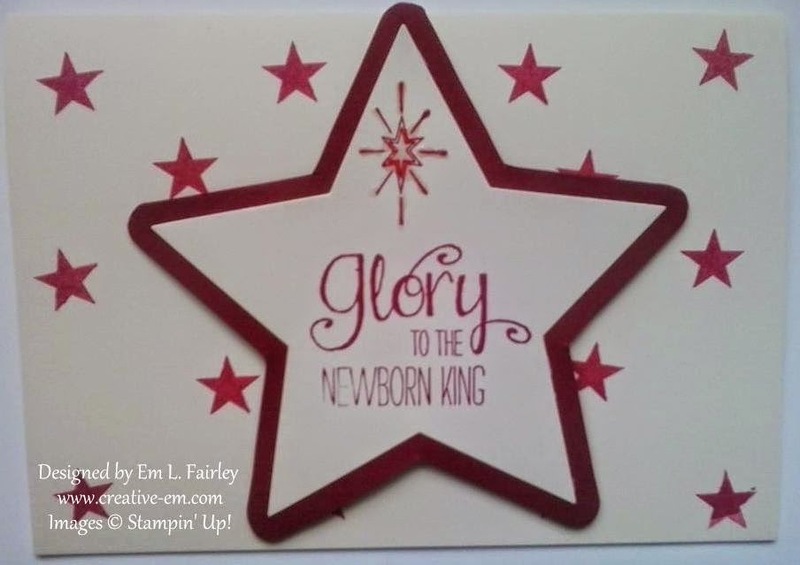 For this design I teamed the focal sentiment and the star, carefully placing them onto my clear block so that they would be able to be die cut using the second largest of the Stars Framelits. 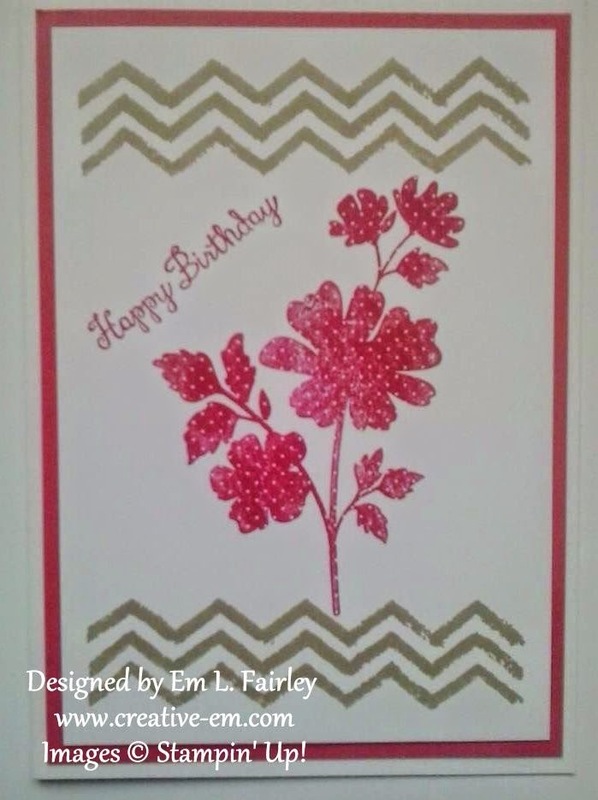 This first one is stamped in Rich Razzleberry ink on Very Vanilla card. I then cut the die and used the die itself as a template to cut a larger star from Cherry Cobbler card, because the largest star die was to big for the card. 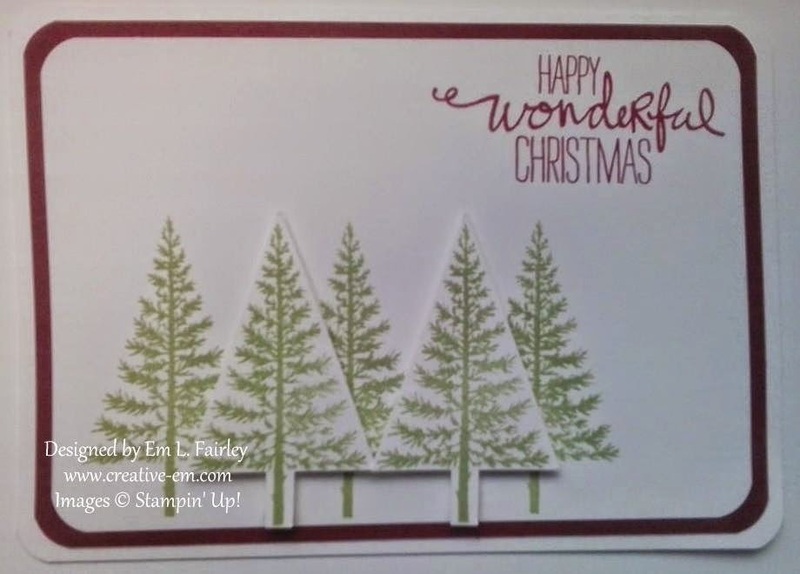 I then stamped the star from the Festival of Trees set randomly on the folded Very Vanilla card blank. The focal star is popped up with Stampin' Dimensionals and I've once again added Crystal Effects to add a bit of sparkle. 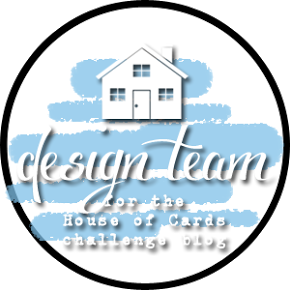 Just as I did with the set in yesterday's post, I also created the designs on Whisper White card too. 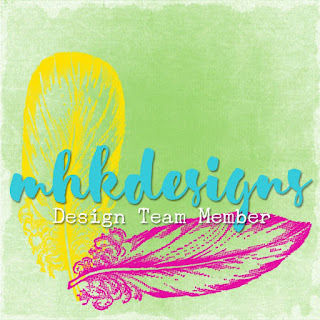 I'll be back tomorrow with one of today's completed designs, so please stop back then. 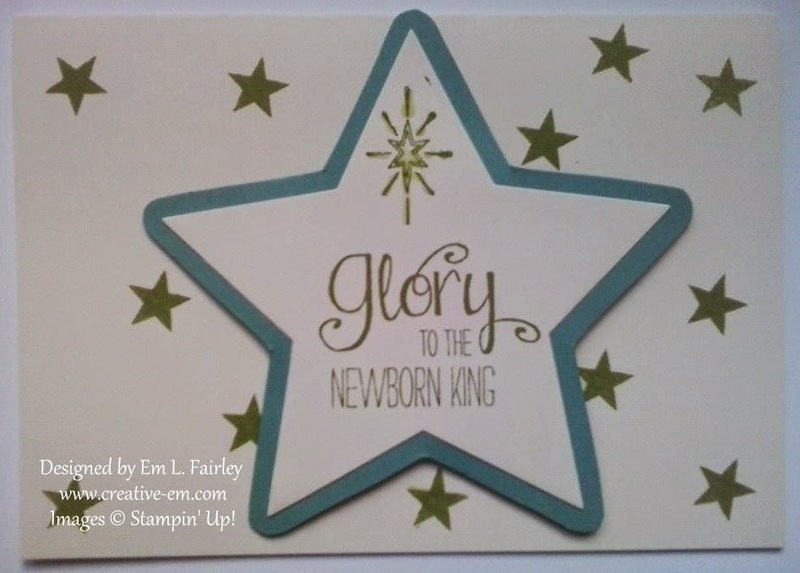 Labels: Christmas, Crystal Effects, monochromatic, Newborn King, Stampin' Up! Thanks for stopping by, I'm honored to have you here. Today has been another very, very busy day in the studio as I continue preparations for my upcoming event. I wasn't done there! I then repeated all three using Whisper White for the base. I'll be back tomorrow with the second, completely different design created using the set, so please do stop back then. 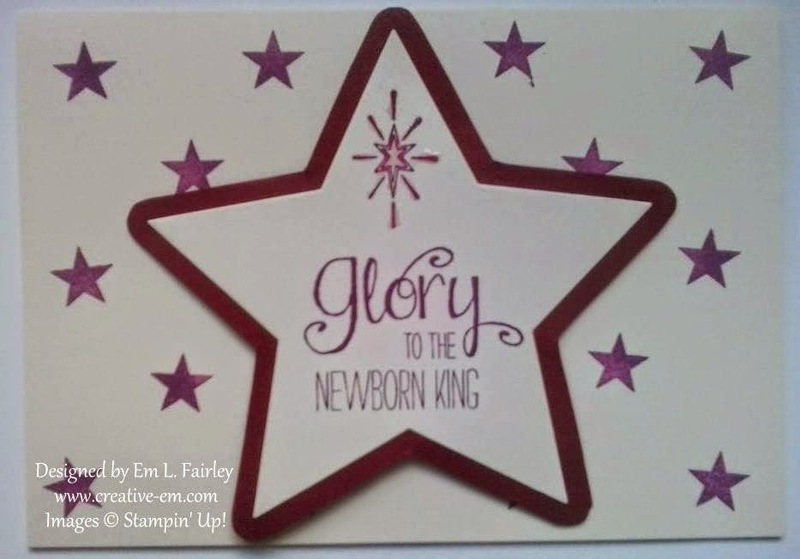 Labels: Christmas, Crystal Effects, Newborn King, Stampin' Up! 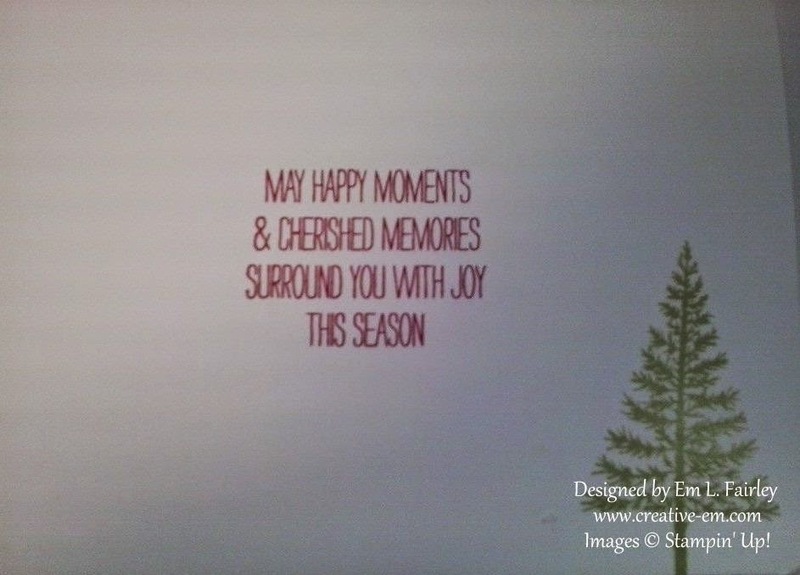 I'm sorry I've been away from the blog for a few days, but I've been very busy in the studio creating lots of new Christmas designs, which I'll begin sharing with you next week. Whatever you're doing this weekend, have a great one and I'll see ya back here on Monday. 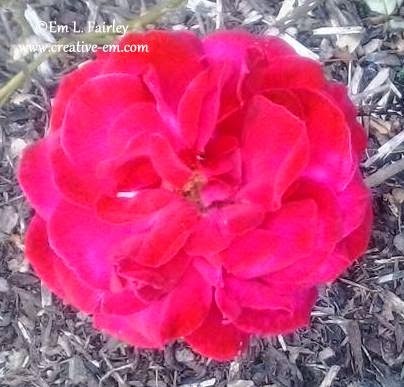 Thanks for stopping by and for all your wonderful comments. I truly appreciate every one of you! 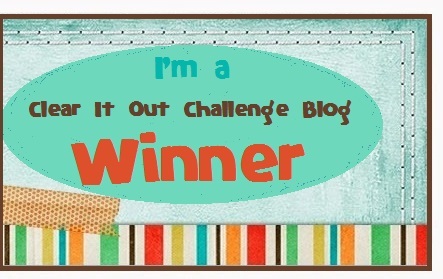 Today's post is somewhat of a milestone, as it is the one hundredth. 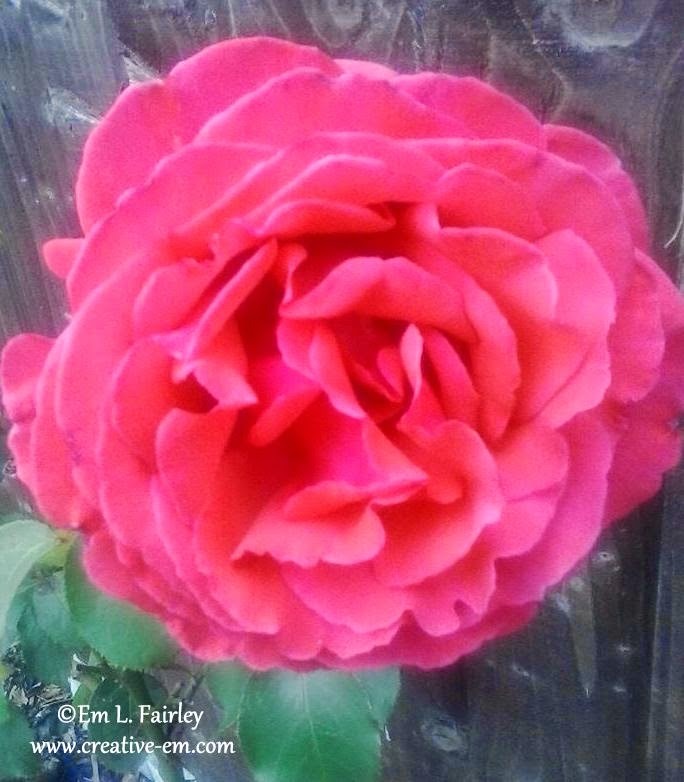 To celebrate and thank you all for your support, I'm sharing these beautiful late summer roses that I photographed this past weekend. Enjoy! 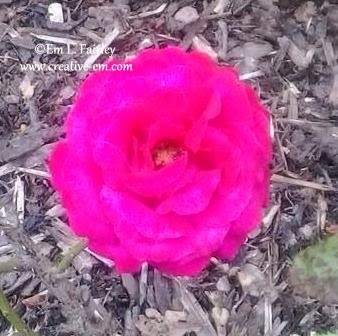 Thanks for stopping by and for all your wonderful comments. I truly do appreciate all of you! 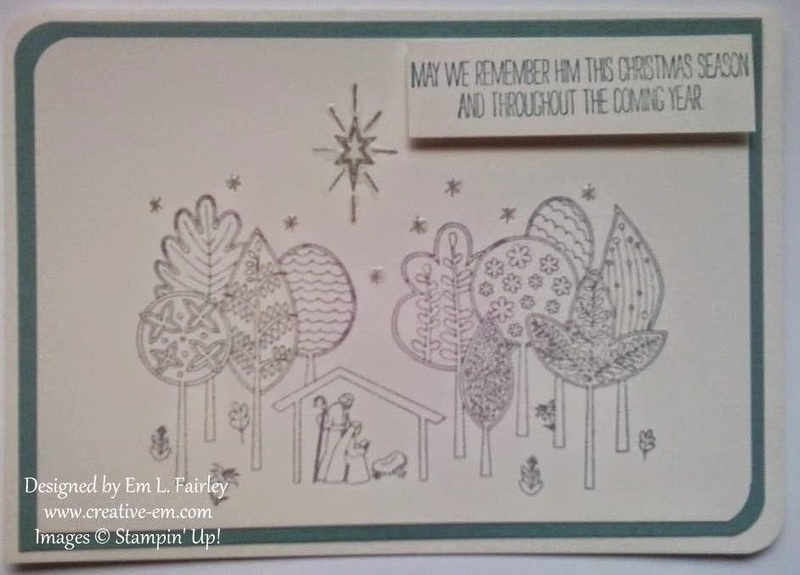 The card I'm sharing with you today is another created with the wonderful Endless Wishes stamp set from Stampin' Up! 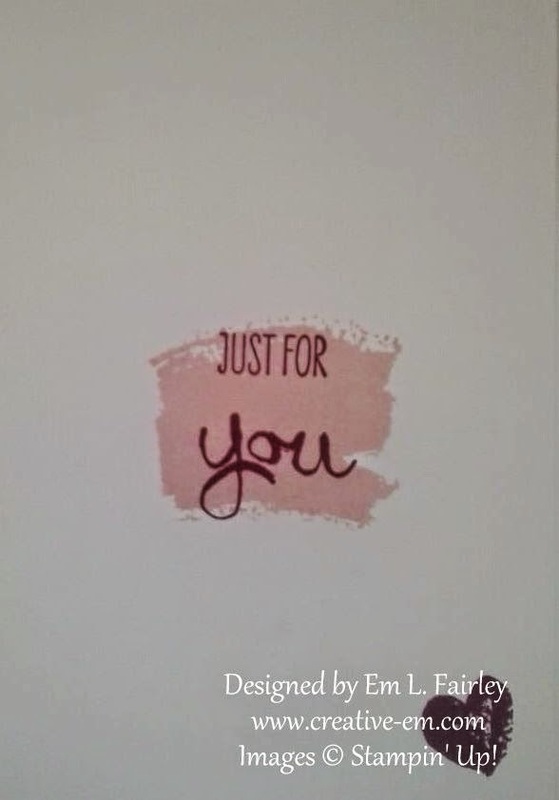 If you missed my first card using this set, you can see it HERE. 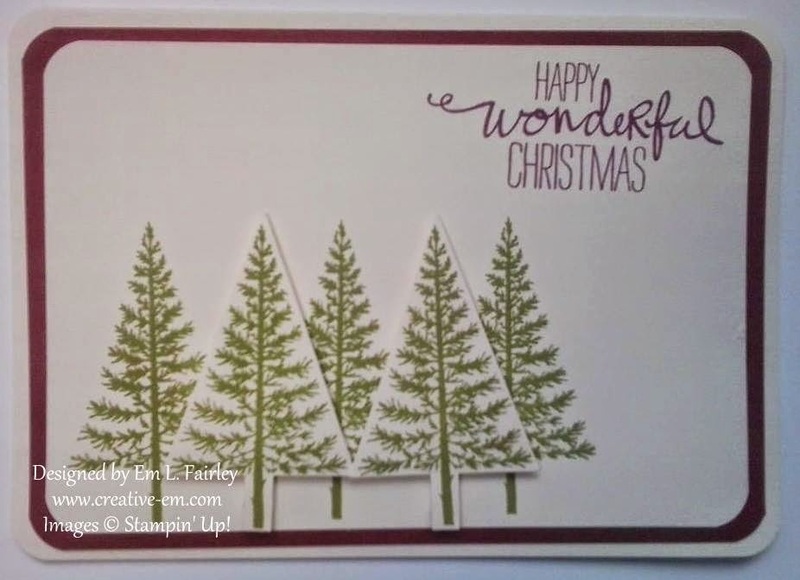 I started by carefully placing the "very merry" and "to you" on my clear block and stamping them in Lost Lagoon onto Whisper White then stamped "Christmas" in the center of that in Pistachio Pudding. I then randomly stamped the largest snowflake from the set in Pistachio, the medium snowflake in Lost Lagoon and finally the smallest in Pistachio Pudding. I then matted the Whisper White onto a panel of Pistachio Pudding card and then onto the folded card base. 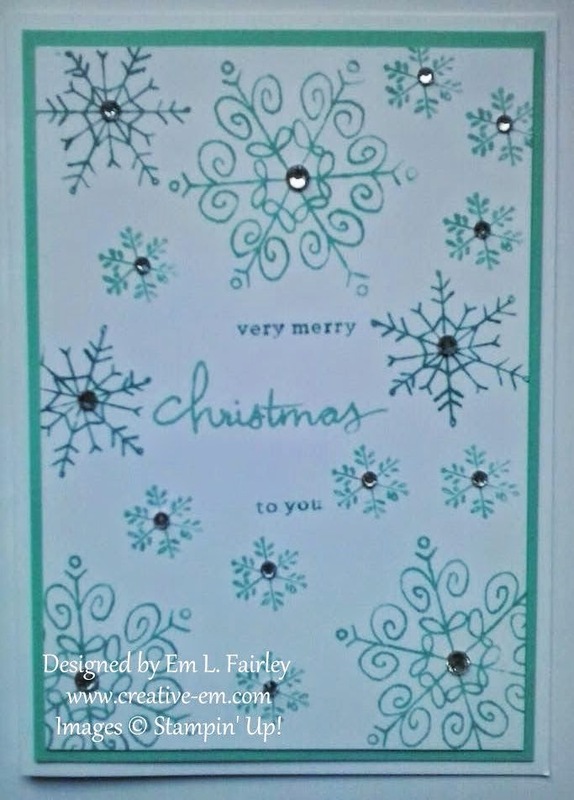 I then added Basic Rhinestones to the middle of all the snowflakes for a touch of bling. 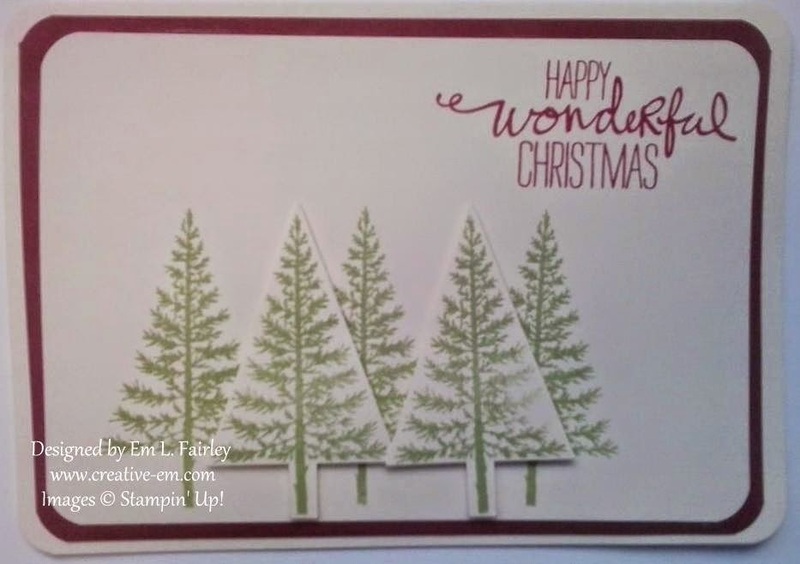 Labels: Christmas, Endless Wishes, Stampin' Up! 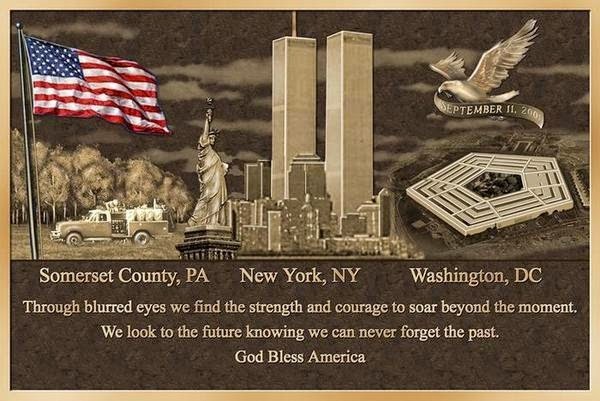 Thirteen years have now gone by since the day that the world changed forever with the terror attacks in the US. It hardly seems possible that the events that day, that I remember as clearly as if they were yesterday, happened all those years ago. On September 11, 2001, I was 10 weeks pregnant and in the early afternoon in the UK, I'd just gone into a bar where I'd worked until a short time before. As I caught up with former colleagues while stood at the bar, the kitchen staff, who'd had the radio on, came running out and shouted for the TV to be put on. The bartender asked why and was told "JUST DO IT!". He did so and those of us who were in the bar turned to watch. Within seconds we were clinging to one another in stunned silence as the enormity of what we, with the rest of the world, were witnessing; the immediate aftermath of American Airlines Flight 11 crashing into the North Tower of the World Trade Center in New York at 8:46 am local time/ 1:46 pm BST. We all kept our eyes on the screen and my hand instinctively moved to my stomach. The silence was replaced by screams as we watched United Airlines Flight 175 crash into the South Tower at 9:03 am, the aftermath of the crash of American Airlines Flight 77 into the Pentagon at 9:37 am and United Airlines Flight 93 southeast of Pittsburgh in Somerset County, Pennsylvania at 10:03 am. Although I do not know anyone personally who passed away that day, I grieve with those who did. I give heartfelt, prayerful thanks every day for the actions of everyone who risked their own lives and indeed the hundreds who lost their lives trying to rescue others. Without them, many, many more would have been lost. I also give thanks and salute the thousands of Armed Forces personnel who have paid the ultimate sacrifice since, and in the face of continuing terror attacks I pray for all those who will deploy. I will NEVER forget! God bless the USA and God bless all of us! 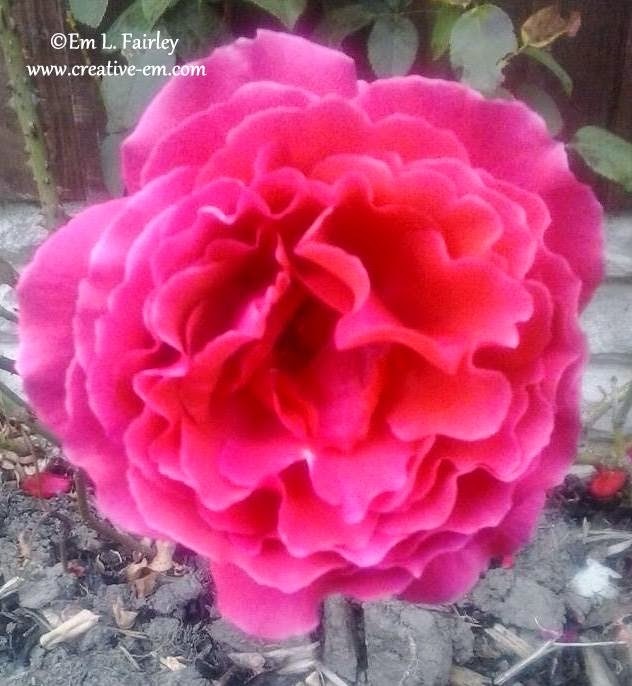 Thanks for stopping by and for all your wonderful comments. I truly do appreciate all of you and them! 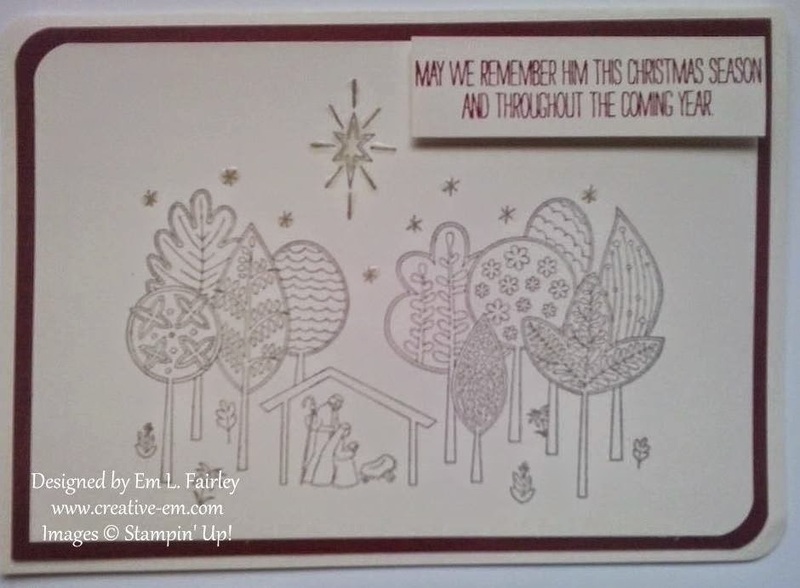 The card I'm sharing with you today is another Christmas card, this time created with the Endless Wishes photopolymer stamp set from the seasonal catalog from Stampin' Up! 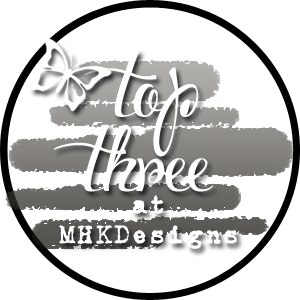 It's created using only another four ingredients, so that's where the "Take five" of the post title comes from, although it could also refer to the time taken to create the card, because it's so quick! 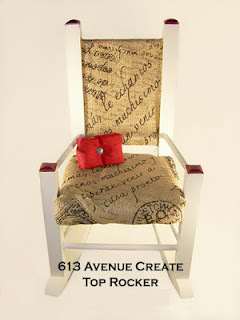 I've not included the adhesive I've used in the five, because that's a staple item of our crafty stash. To create the card I cut a piece of Whisper White card in half and folded to create the base, then cut the Lost Lagoon and Whisper White for the layers, each a quarter inch smaller than the one below it. 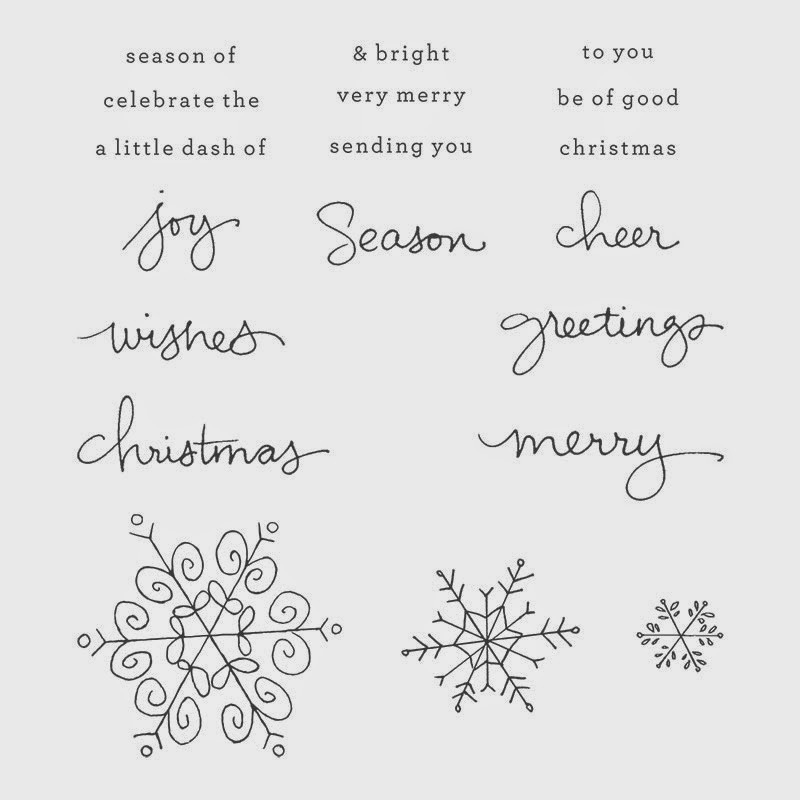 I then added the "merry" and "Christmas" to my clear block and inked it up. Luckily before I stamped it, I realized I'd put Christmas onto the block upside down. Oops! I turned it and reinked, then stamped into the center of the piece of card. I then took each of the snowflakes in turn, starting with the biggest and randomly stamped them, or as randomly as I could lol. 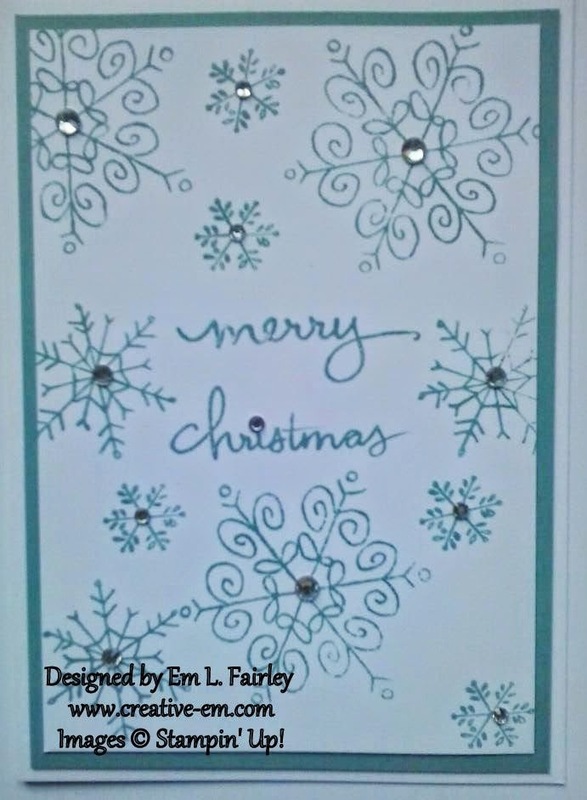 I matted the layers and then added the rhinestones to the center of each snowflake and as the dot on the i of Christmas. I love the simple yet elegant look of the card and I will definitely be creating more with this set, after all, the possibilities are endless! 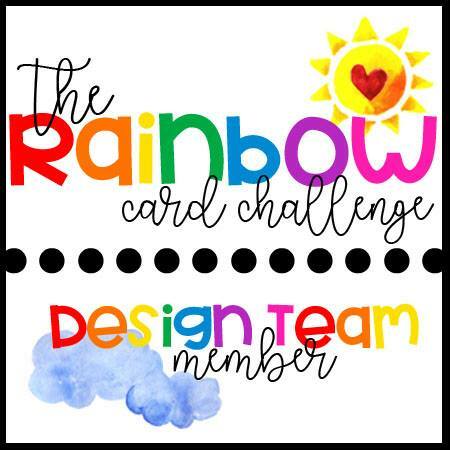 I loved creating today's "Take five" card and if anyone would like to join me in a future "Take five" blog hop, where we'll each create a card using 5 items, plus basics, let me know in the comments or email me. 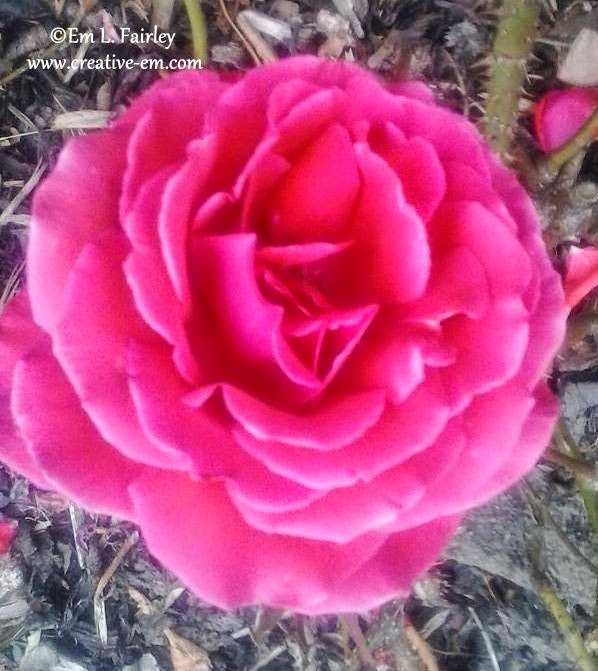 Thanks for stopping by today and for all your wonderful comments on yesterday's post. I truly do appreciate all of you! 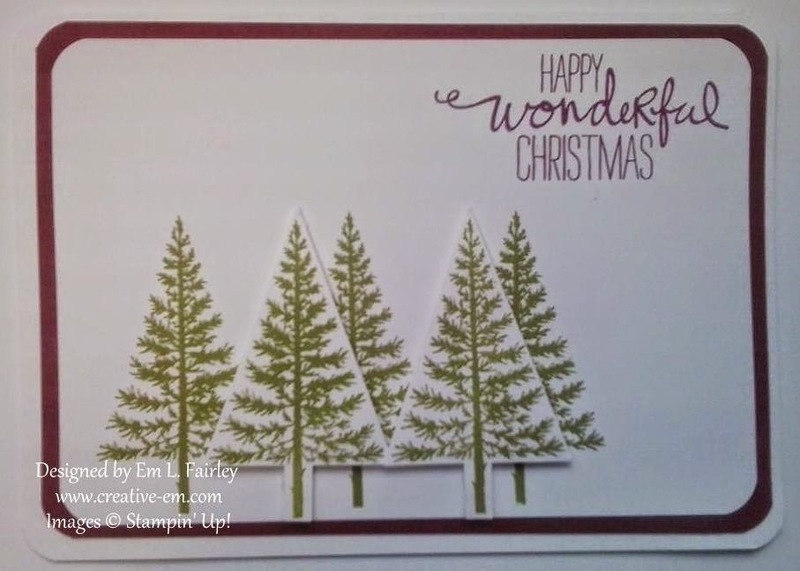 As the post title suggests, today I'm sharing another card created using the Wondrous Wreath stamp and die bundle from Stampin' Up! I've loved Lost Lagoon, one of this year's new In Colors, since I first saw it. I like to change things up a bit and I knew almost immediately that it will be part of my personal color scheme this Christmas, so you'll likely be seeing a lot of it as the season approaches, but that's not a bad thing! 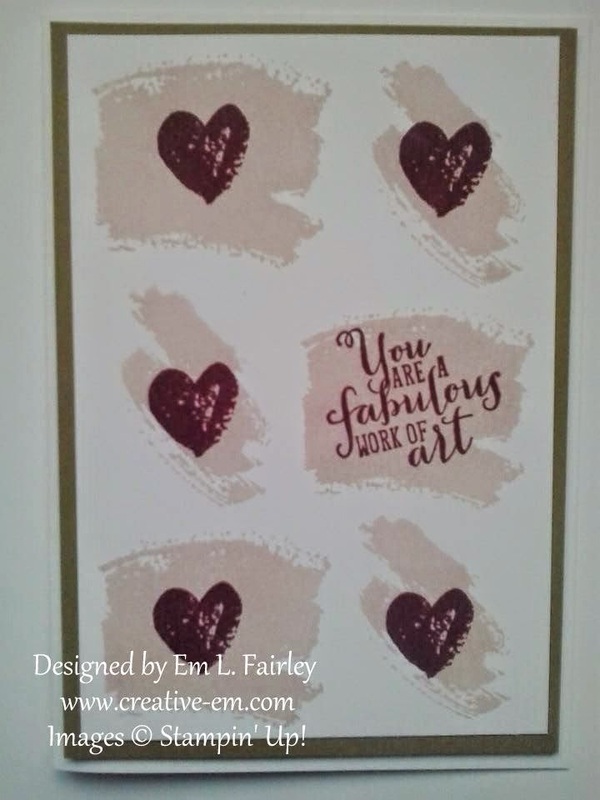 Once again I've used Crumb Cake card for the base, this time layering another piece of the same card onto it which I embossed with the Wood grain folder and sponged with Crumb Cake ink. The Noel die was cut from more Whisper White card. 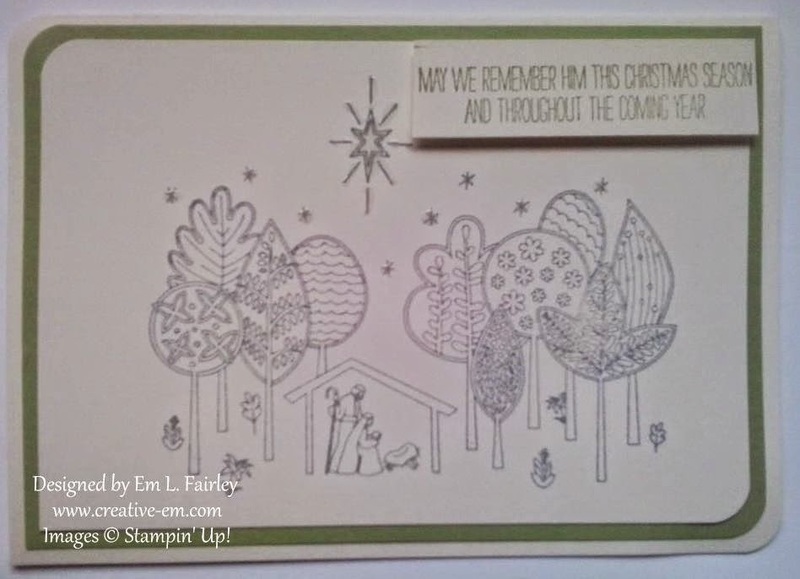 The wreath and bow were popped up on Stampin' Dimensionals and sentiment added with Tombow glue. Have you decided on your color scheme for the upcoming season yet? Do you prefer traditional or non-traditional colors? Let me know in the comments. After a very busy week, I'm off out to the coast tomorrow for some much needed fresh air. 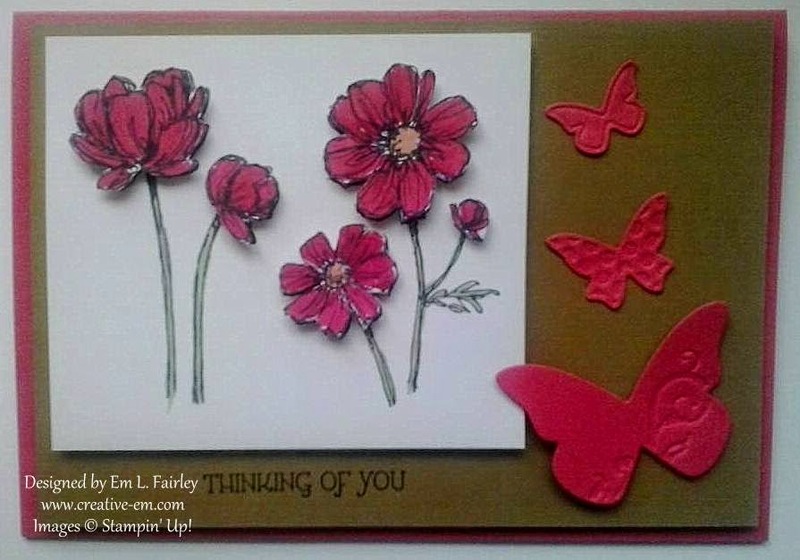 Whatever you're doing this weekend, have a great one and I look forward to seeing everyone on Monday when I'll be sharing the third card created yesterday. 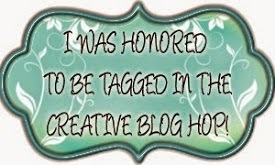 Thanks for stopping by today and for all your wonderful comments on my last post. 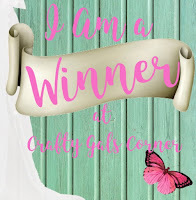 I had so much fun creating the card and I'm glad you like it as much as I do! This morning I've created my first Christmas cards of the year and I'm sharing what was actually the third one with you today. Don't worry though, I'll be sharing the others with you soon too! I've used the Wondrous Wreath bundle, which features in the new seasonal catalog, to create them all. I stamped the base image in Pistachio Pudding ink, then used Mossy Meadow ink for the highlight layer. 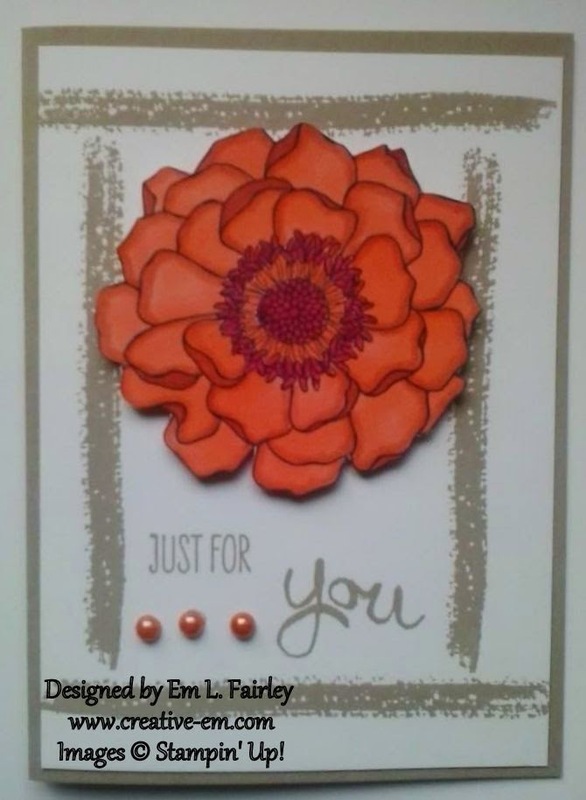 The sentiment, one of two which comes with the stamp set, is inked in Crumb Cake ink on Crumb cake card. I cut the bow, hanger and Joy from Strawberry Slush card. The wreath and bow have been popped up on Stampin' Dimensionals, some of which were cut to size. The finishing touch is Basic Rhinestones which I've colored with the medium shade Cherry Cobbler Blendabilities. 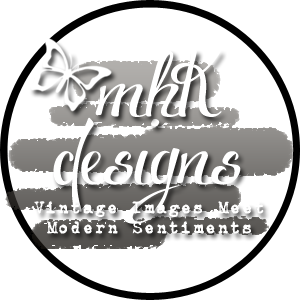 Everything used is available 24/7 in my Online Shop. I knew I'd love this set and I'm really pleased with this and indeed the other cards too. I'd love to know what you think. Thanks for stopping by today and for all your wonderful comments. I really do appreciate all of you so much! 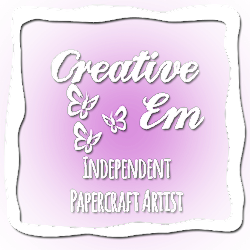 All items used are available to by in My Shop, which is always open. 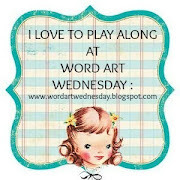 I stamped the images twice onto whisper white card and used the brush end of the markers to color the images. Because of the sketchy nature of the stamps, I deliberately didn't go right to all the edges and at times went over, but I think it suits the image. I cut the flowers from the second set and have popped them up using dimensionals, cutting to size when needed. The whisper white and baked brown sugar card layers have also been popped up with dimensionals and I added the butterflies to complete the look. 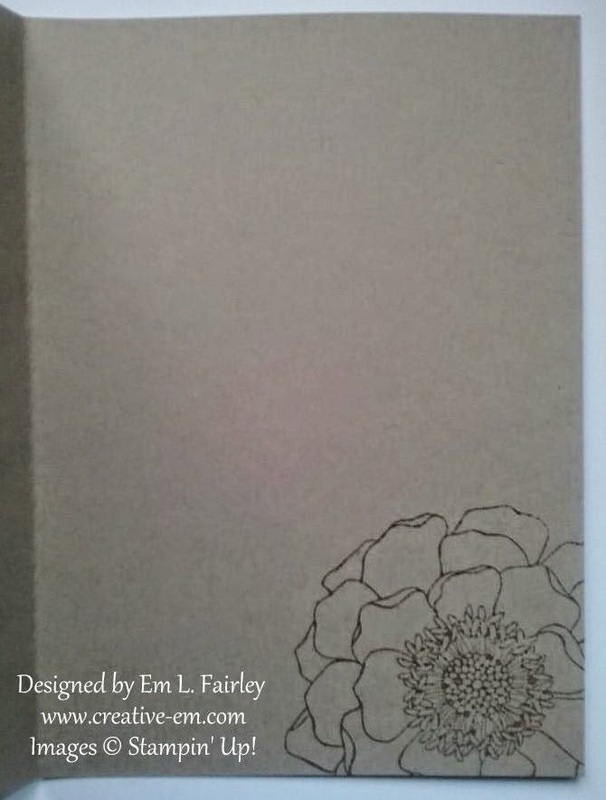 Labels: Bloom with hope, Gifts of Kindness, In Color, Stampin' Up!